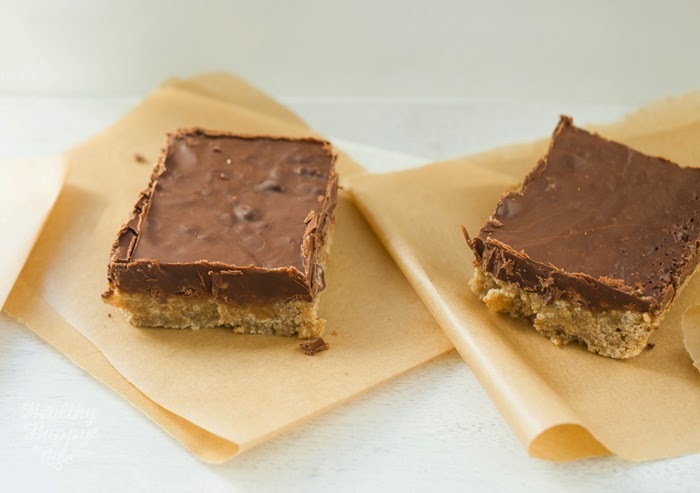 These Easy Peanut Butter Chocolate Bars are pure vegan deliciousness. 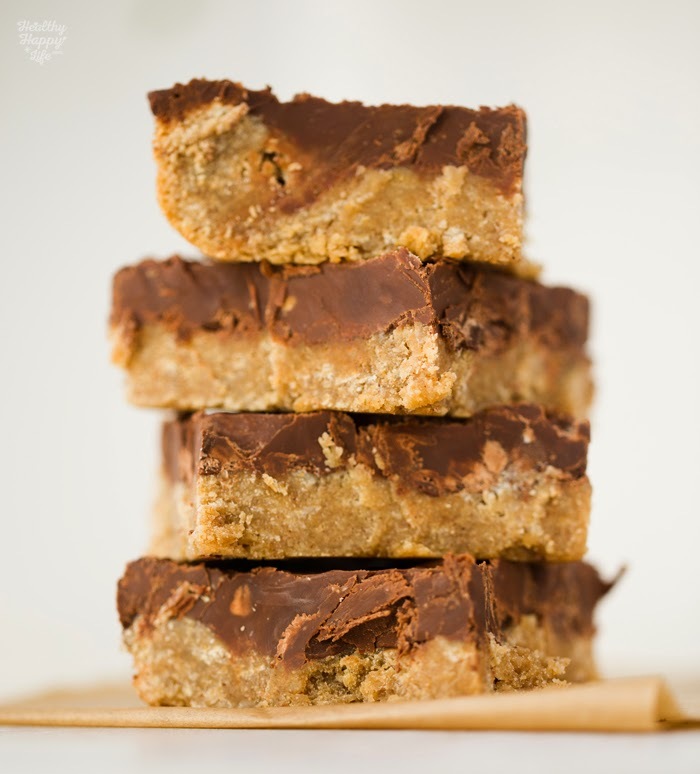 A thick peanut butter oatmeal base is topped with a silky dark chocolate and coconut oil chocolate top. 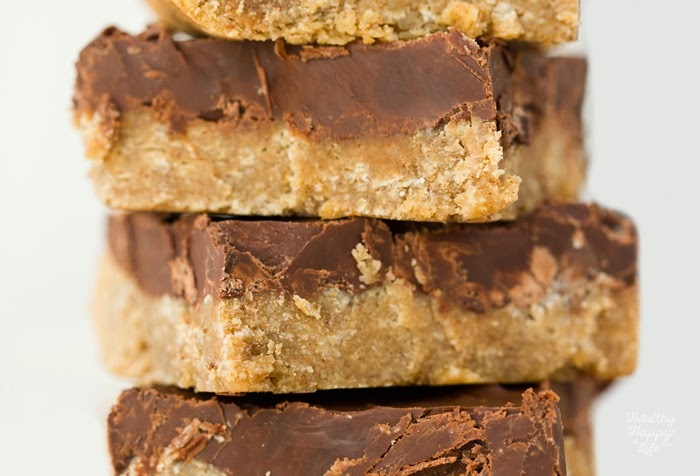 Nibble these bars for pure peanut butter bliss. And you can substitute almond butter or sunflower butter if need be!.. 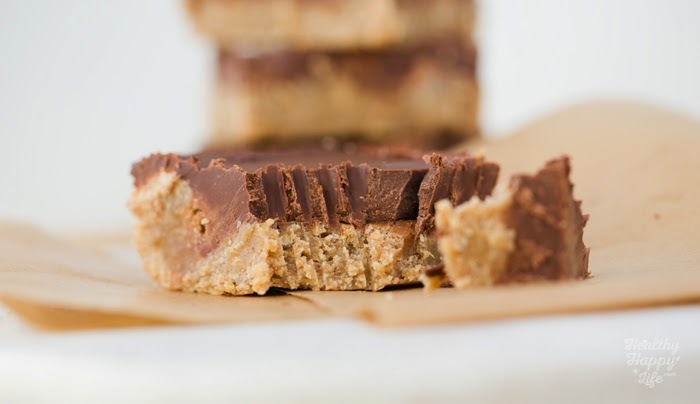 Amazing snack or sweet treat, these nutty peanut butter bars loaded with chocolate (yes, I mean LOADED) are a yummy vegan treat. SO easy to make too! And if you *want* to reduce the amount of chocolate on top, go for it. 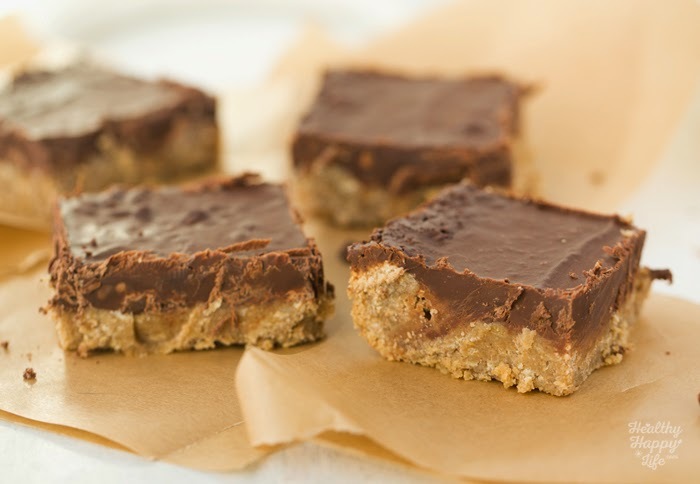 Even a tiny sliver of chocolate would compliment these peanut-oat baked bars quite nicely. But as you can see, I went ALL IN. I mean. I used the whole bag o' chips. 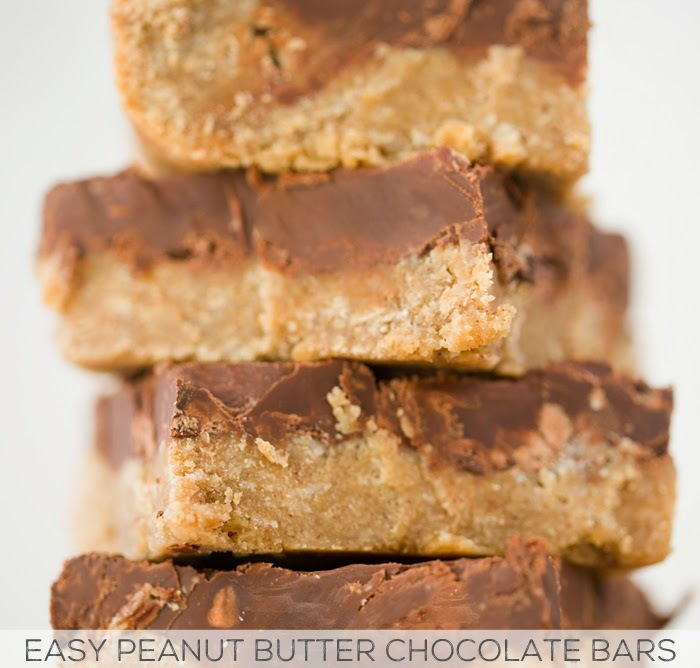 Creamy peanut butter oatmeal bars are topped with a thick layer of silky chocolate. Dessert or decadent snacking. Preheat oven to 350 degrees and grease an 8 x 8 inch square dish with coconut oil. Combine oat flour, oats, salt and cinnamon in a large mixing bowl. 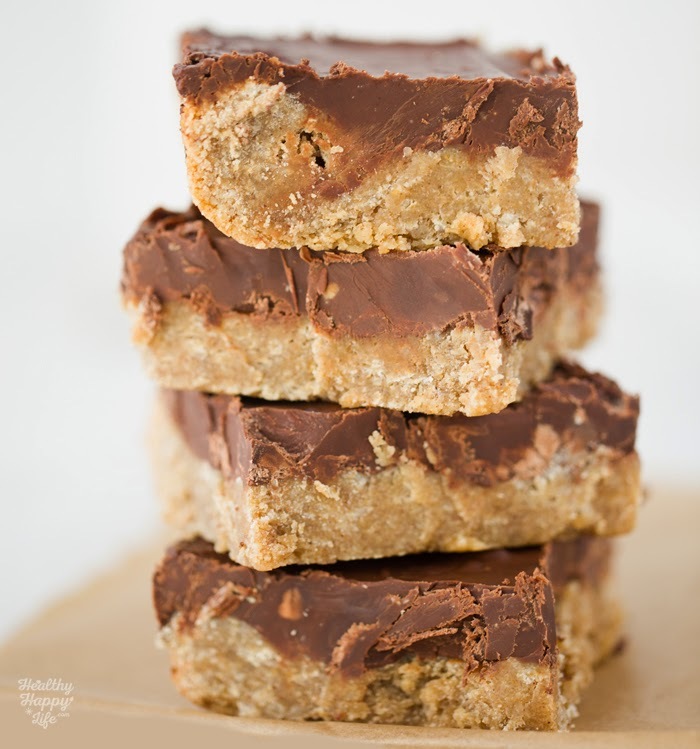 In a high speed blender, combine the peanut butter, maple syrup, melted coconut oil and vanilla extract. Fold the blended wet mixture into the dry bowl and stir well until a wet dough forms. It will be thicker than a cake batter, but thinner than a cookie batter. Spread peanut butter mixture into glass pan, evenly. 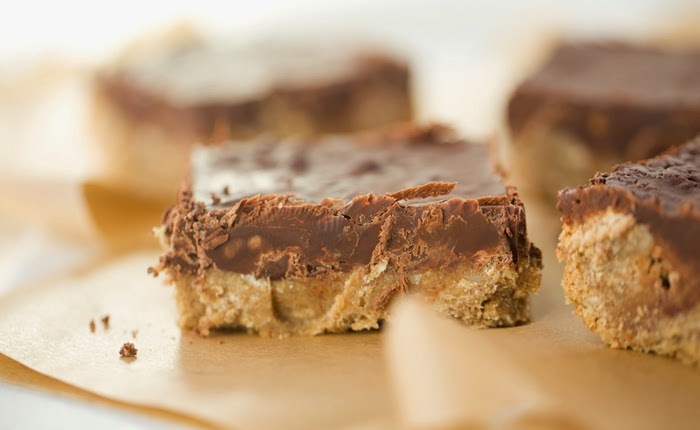 When the chocolate is silky smooth, pour it over top the peanut butter layer. 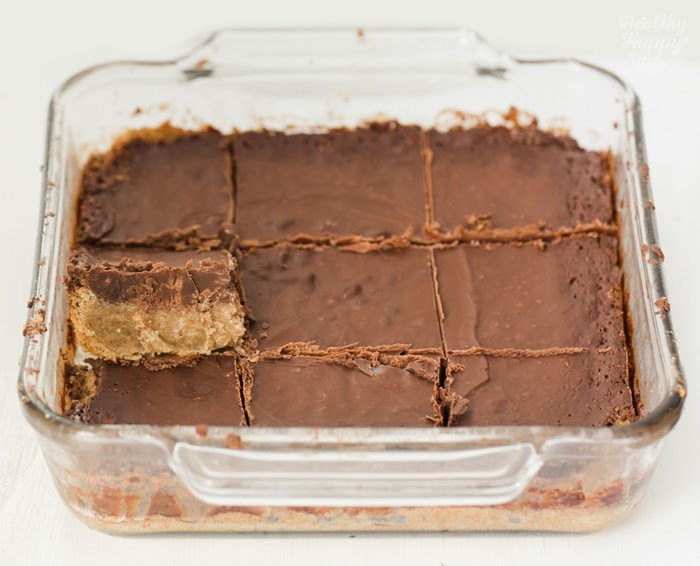 Bake bars at 350 degrees for 18-20 minutes, or until the chocolate edges start to bubble and darken a bit. 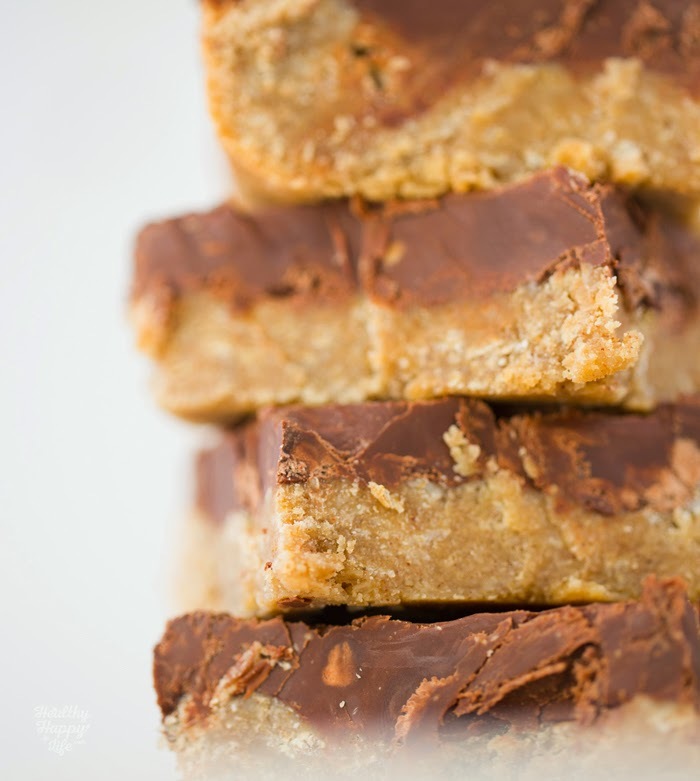 Cool bars for at least two hours before serving. For slicing firm bars, cool the bars in the fridge, until they harden. 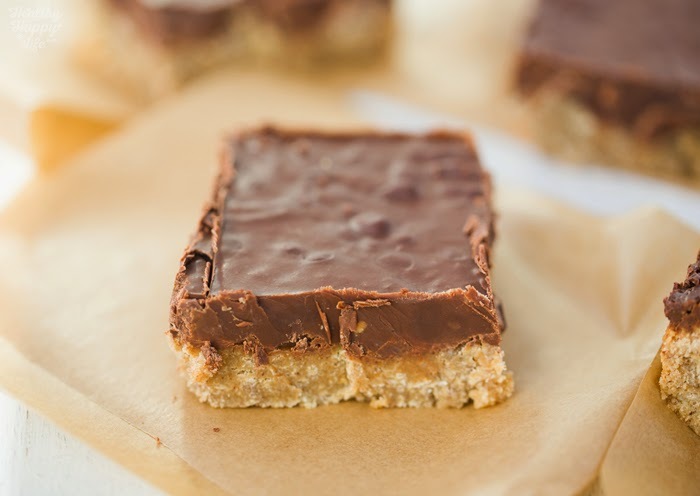 To slice and serve chilled bars: thaw a room temperature for a half hour before slicing OR warm the bars by running the bottom of the pan under hot tap water - making sure to not get any water on the bars. Store bars in the fridge or freezer.